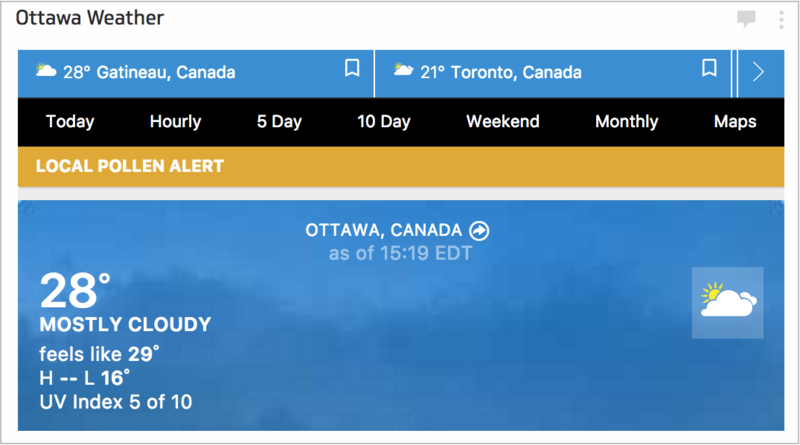 This is an example of the Inline Frame component displaying the weather from The Weather Channel. Navigate to the page you want to display. Note: The URL must include https:// for example, "https://weather.com/en-CA/weather/today/l/45.42,-75.70". Replace the existing text between the quotes with your URL. Choose from Small to X-Large or select Custom, and adjust the height in pixels. 400 px for example.